North Quabbin Farmers Markets are starting up! Come support our partners at the Garlic and Arts Festival this weekend! Event Recycling and Composting: It’s Easier than You Think! Telling Our Food Story: What’s Next? North Quabbin farmers markets are open for the season! Now Available: Local Community Food Plan! Volunteer at the Orange Farmers Market! 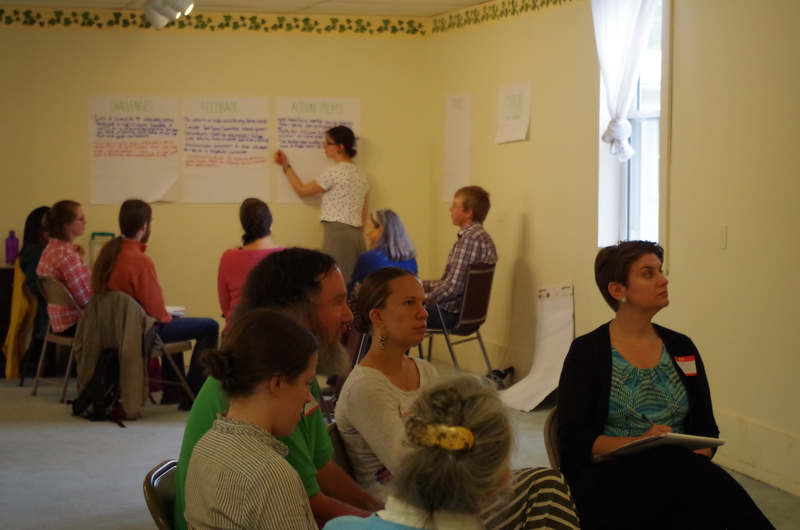 Join us at the Orange Innovation Center for the next meeting of the Greater Quabbin Food Alliance on Tuesday, December 8th to meet and network with food and farm stakeholders and collaborate on projects to strengthen the food system of the greater Quabbin region! The meeting is free and open to everyone. Local lunch and refreshments will be provided. Plus, Honest Weight Artisan Beer will be offering a FREE brewery tour immediately after the meeting! Join us to discuss challenges, brainstorm solutions, enjoy some local treats, and take action to rebuild your local food system! Click here to register. Questions? Email us at greaterquabbinfoodalliance@gmail.com.